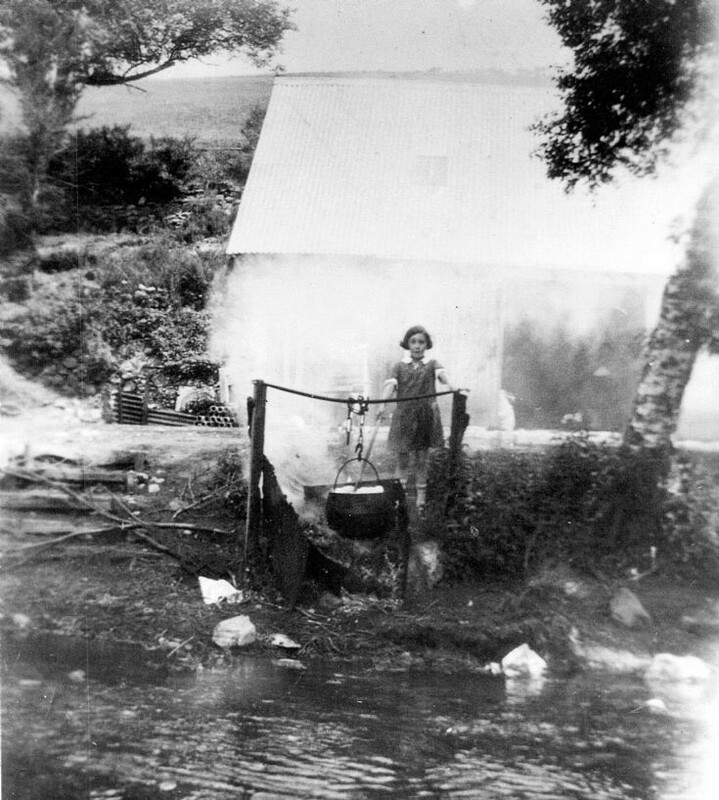 This picture is possibly located by the old Wool Mill shed at Bridge of Buchat. She might be cooking or possibly boiling washing. I have a vague recollection that my mother told me that my grandfather, George Matthew, had a workshop shed at Bridge of Buchat. He certainly used to repair footwear. I suspect the girl may be one of my cousins. I doubt she is cooking. How about dyeing if it is outside wool mill ? I would think that washing is more likely - the wool mill was closed by that time.